Forecasting, budgeting, time to market and all that jargon on one side and actually reaching the near end and yet control the emotions is an experience of its own. Some of you might have felt being inside a pressure-cooker. 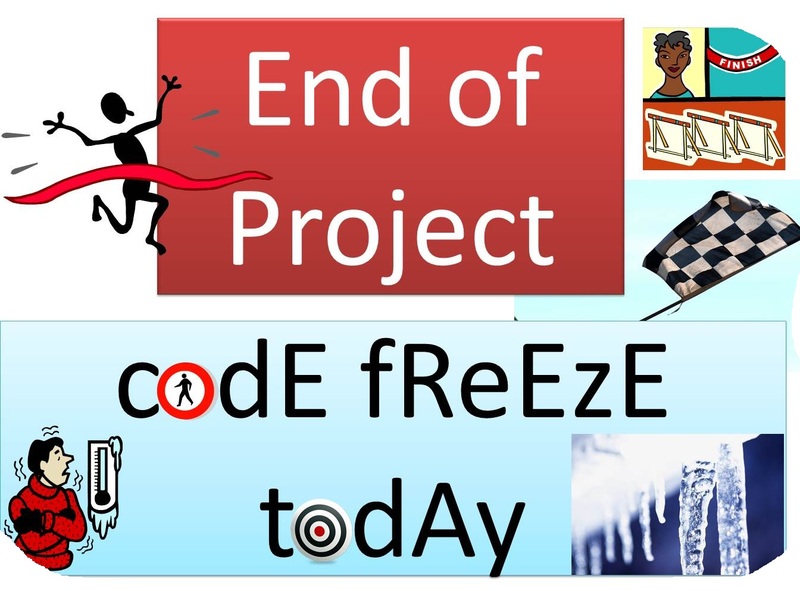 If multiple teams have been working on a project for more than a year - it is quite a challenge to agree on drawing a line on the backlog and agreeing to 'code freeze' on a specific date. This is in anticipation that the release will be ready, fully tested and golden disk ready. 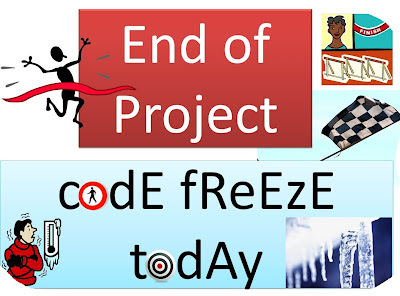 Especially near the last 5% of the project - things seem to start dragging as a majority of the team has completed their due stories . At this crucial stage - the most important leadership decision is to help the team see the end and refocus towards it. The customer (or product ownership team) needs further priming of what is worth delaying this release for. "Many a times, what appears to be completely unacceptable to the delivery team - is actually agreeable by the customer". e.g. petty user interface issues (for rarely used workflows) or even extremely rare crashes are not considered as 'show stoppers' if the customer is really engaged with the vision of 'end' in mind. You have to ask the right questions though. 1) When the unexpected arrives at your door, try to 'STOP' - think and don't make a hasty decision in reaction to an apparently big barrier. 2) Don't act like an ostrich that hides its head in the sand, in anticipation of a problem to go away without any action. Think about the best outcome in the given situation, the information you have at hand, and the available resources. Regroup and scrum to assess outcomes as a team. 3) Assess and make an informed/ engaged decision and commit. Even if the decision isn't ideal, accept that it's the best under the circumstances. Thank you very much for the insights and suggestions.